Performance by the Rhode Island Junior All-State Guitar Ensemble (grades 7-9), under the direction of John A. Savage, March 13, 2016. Smith Hall, Providence College, Providence, RI. Notes As the wife of a guitarist, I was introduced to the music of Michael Hedges and found I enjoy it immensely. Unfortunately, due to his untimely early death, many young players today may be unfamiliar with his work. My aim in this piece was to capture some of the essence of his intricate, innovative style in an ensemble setting by assigning different aspects of what he did as a soloist to different parts, making it more accessible to younger players. 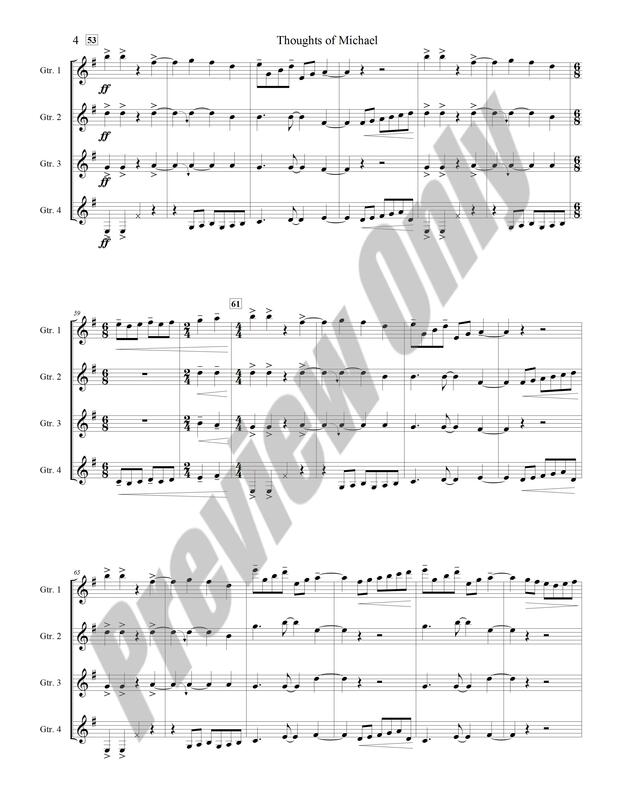 You will be licensed to print out one copy of the score. 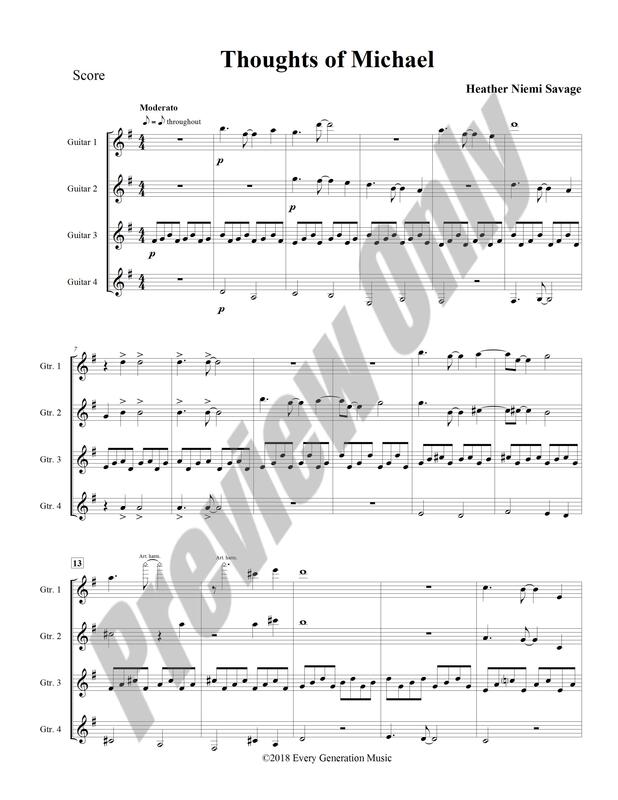 You will be licensed to print out one copy of the score and as many copies of parts as needed by your ensemble. 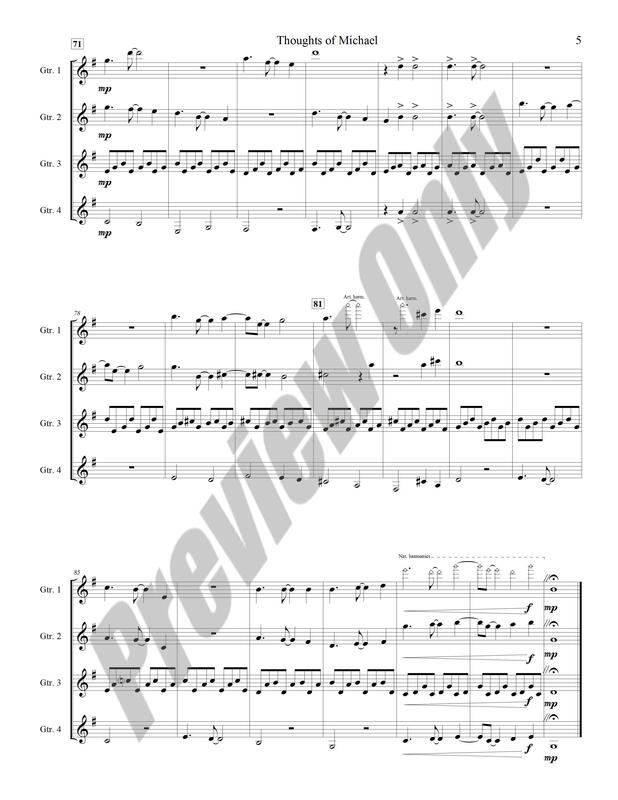 A PDF of the score and parts will be delivered via email. Please allow up to 48 hours. Order processing will be handled by my publishing company, Every Generation Music. 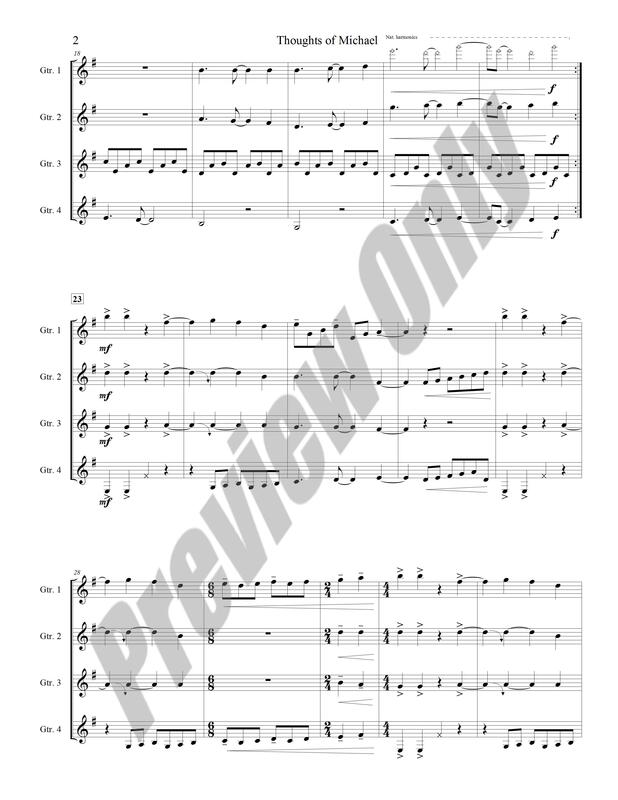 Includes score and 5 copies of each part. If you need additional parts, please contact me.